Bookshop Talk: INTERVIEW with the One and Only, GAIL CARSON LEVINE! 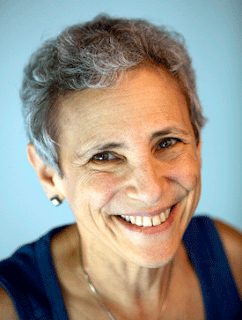 INTERVIEW with the One and Only, GAIL CARSON LEVINE! I am so delighted to have the chance to interview Gail, a delightful woman and beloved author! Among her most popular books are Newbery Honor Winner, ELLA ENCHANTED, and its companion book, FAIREST, THE TWO PRINCESSES OF BAMARRE, her wonderful PRINCESS TALES, and the popular DISNEY FAIRIES series. My personal favorite, though, is DAVE AT NIGHT, and I’m excited to ask Gail about it, so let’s get cracking! Jessica Day George: DAVE AT NIGHT is the utterly charming story of a young boy growing up in an orphanage in Depression-era New York, which makes it quite a departure from your fantasy and fairy tale books. We hear this novel was inspired by your father’s experiences as a child. Could you tell us a little more about that, and what sort of research you did to make the book feel so alive with the sights, sounds, troubles, and even the unexpected joys of the 1920's? Gail Carson Levine: When I was little I knew my father had been an orphan and had lived in an orphanage. I was curious, but my father wouldn’t satisfy my curiosity. He told only one story about the orphanage, and that was of sneaking out and buying candy, which he sold to other orphans. He said he had a pretty good business going—till he was busted! I guess he told that anecdote because he was the hero of it and I suspect he was rarely the hero as a child, more often the victim. There’s a photo of the actual orphanage on my website, and you can see it’s a forbidding looking place. After my father died I decided to satisfy my curiosity and keep him alive in my memory by inventing his childhood. Dave in the book (my father’s name was Dave) is portrayed as I think my father would have been as a boy, spunky, kind, defiant, brave. I made up the orphanage, but the other period details are accurate to the best of my knowledge. For my research I read several books about the period as well as poetry and a novel written at the time. I spent days going through the photo collection at the main branch of the New York Public Library, looked at street plans of the time, visited the Tenement House Museum and spoke to the curator, visited the New York City Transit Museum and talked to an expert on mass transit during the era. I even spoke with an authority on classic cars. And more. Best of all, I had two friends with excellent memories who were alive at the time. JDG: As a child, did you have a favorite book that you can recall? GCL: I can still recite stanzas from my favorite picture book, Wee Fishie Wun. When I started reading chapter books I read and loved the classics, like Heidi, Bambi, Peter Pan, Black Beauty, and anything by Louisa May Alcott and L.M. Montgomery. 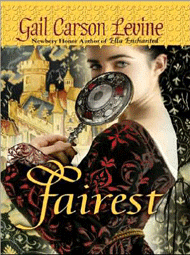 JDG: Your books often incorporate new and unusual languages, FAIREST being one example. Do you make a little dictionary for each book to keep track of new words you’ve created? GCL: Yes. I keep a glossary. If I use a word more than once the meaning is the same each time. The languages in Fairest derive from the ones I made up for Ella Enchanted, and each language has its own sound (like guttural or percussive or soft) and its own look in terms of punctuation and capitalization, but I didn’t establish grammatical rules, not even for pluralizing or past tense. The only book in which the made-up language consists of nonsense words is Ever. When Kezi visits Wadir, the underworld, she’s in a kind of dream place, where meaning is elusive and fanciful. If a word repeats in Wadir it’s an entirely different word. I just hit keys on my computer for that language. JDG: ELLA ENCHANTED is loved far and wide for being one of the most humorous, original retellings of Cinderella. This story puts a very amusing twist on the gifts Fairy Godmothers can bestow—a blessing/curse to be unceasingly obedient, for example. If you were a Fairy Godmother yourself, what would be the fairy gift you would most often give to your lucky recipients? GCL: Oh, gee. Deep feelings, excellent health, good teachers, kind parents, enough to eat, a safe earth. That would be quite a magic wand. JDG: The sisters in THE TWO PRINCESSES OF BAMARRE are very close. Do you have any siblings yourself? 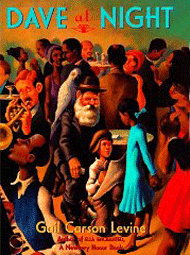 GCL: Rani Carson is my sister, five years older than I am, a wonderful painter of people and scenes in Jamaica, West Indies. We’re very close, and I love her work. JDG: Do you have any writing rituals? Music, no music? Snacks? A Persian cat on a velvet pillow to stroke while you think? GCL: No music. No rituals. At home I write in my office or on the laptop in the kitchen where our puppy likes to sleep, and I love his company. But I’ve trained myself to be able to work anywhere, and I write on trains, planes, in automobiles (if I’m not the driver), airports, hotel rooms. I travel often. If I couldn’t write wherever I was I would get little done. I also can write in short bursts. Fifteen minutes are enough to move a story forward. 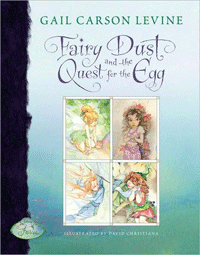 JDG: Many of your books prominently feature fairies, or are about fairies. What fascinates you about them the most? GCL: I like that they don’t exist, so I can make them up. 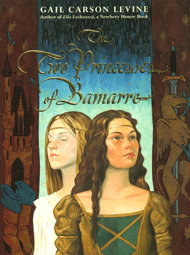 In The Two Princess of Bamarre they’re whorls of light. In my books about the fairies of Never Land they’re five inches tall; in The Princess Tales they’re seven feet tall and a little ridiculous. In Ella Enchanted and Fairest they look like us except for their ultra-tiny feet. Their power can sometimes be a problem. In many traditional fairy tales, the fairy saves the day, which won’t do for me. The young main character has to save himself, so I have to explain why the fairy can’t do it. JDG: Do you have any upcoming projects you can tell us about? 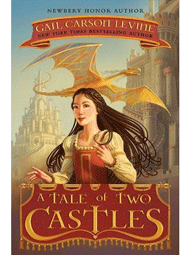 GCL: I’m working on a sequel to my latest novel, A Tale of Two Castles, which is a mystery, and the second book will be a mystery too. At this point it’s a mystery to me, too, because I don’t know who the villain is. And next March my book of false apology poems will come out. 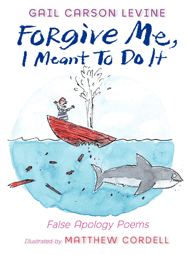 The title is Forgive Me, I Meant to Do It, and all the poems are based on the poet William Carlos Williams’s poem “This Is Just to Say.” I think my poems are pretty funny, and the illustrations by Matthew Cordell are a riot. I can hardly wait it for it to come out. JDG: In addition to being a writer, what other jobs have you held? GCL: I worked for New York State government for twenty-seven years, mostly in jobs that had to do with welfare. In the middle I worked for the Commerce Department, which is when I started writing. They had me writing their promotional material, and I loved it. JDG: You are to be buried in Egyptian splendor, and must take everything with you that you will need in the Afterlife. What five books would you want in your tomb? a compendium of the Lang fairy tale books. I might manage to keep writing with these, but I’d want tons more! Thank you so much, Gail, for spending time with us on Bookshop Talk! Readers, be sure to check out www.GailCarsonLevine.com for even more information about this fabulous author and her books. And her blog, www.GailCarsonLevine.blogspot.com, is especially helpful for writers. ALSO, be sure to enter your name into our massive book giveaway, where you can win up to ten Gail Carson Levine books (or any other book that we've reviewed on Bookshop Talk)! I love Ella Enchanted more than almost any other book ever! but I've never read Dave at Night. I will have to check it out. There are SO many reasons why I love any book written by Gail Carson Levine, but I'd have to say that my number one reason is that it doesn't matter your age, her stories are humorous, touching, and incredibly entertaining! I love that I can give any one of GCL's books to my daughters (ages 12 & 14), and know that they will not only accept the recommendation, but finish the book within a matter of days, completely satisfied. These books are some of the first books I recommend when someone says they have a reluctant reader. They are such quick, easy reads, and I swear, I smile the entire way through them! I was so happy to see this interview! I got to listen to her speak once at LTUE conference. After being mobbed by four girls with probably a total of twenty books -- and already looking tired after a long day -- she was gracious enough to still sign my battered (well-loved and much read) copy of Ella Enchanted. I enjoyed this interview so much! Gail Carson Levine is one of my very favorite authors. I love her books, and I love her blog! She seems like such a great person. I always recommend her books to friends and their children. 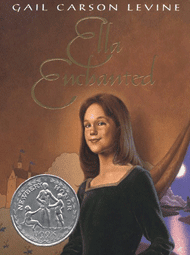 I can't wait to read ELLA ENCHANTED with my daughter, when she's a wee bit older (she's five). Thanks, Jessica, for doing this terrific interview! Your questions were so fun! And thank you, Gail, for taking the time to give such detailed answers. It is SO NICE to learn more about you! Great interview. I love Gail Carson Levine and her books. I had the privilege of hearing her speak and talking to her at LTUE one year and like her as a person as much as I like her books.